This sign is located at N41 51.474 W80 57.801. 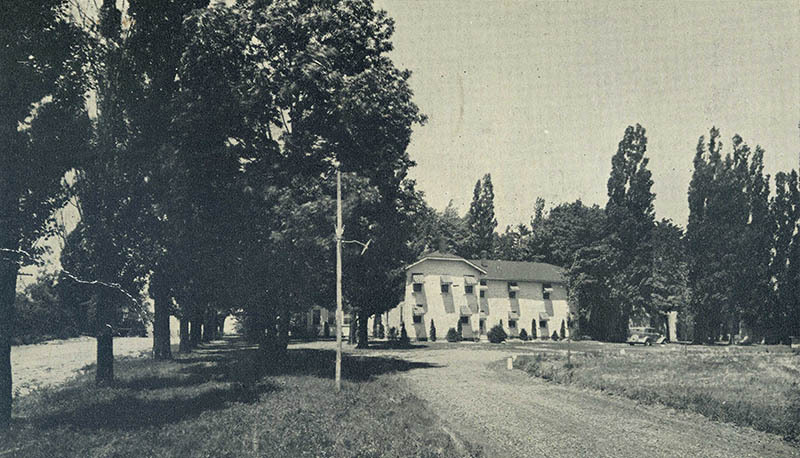 Leidheiser Farm, and later Resort, stood to the east of Chestnut Grove, where Mariner’s Point Condos are today. 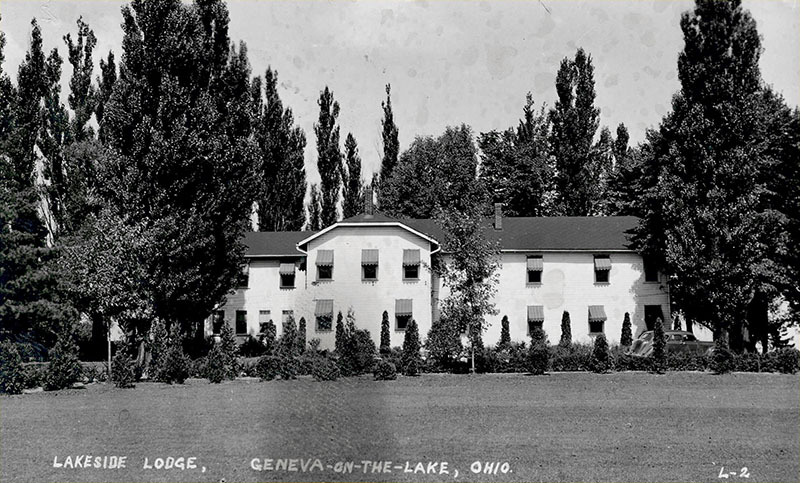 The farm was established by Henry and Elizabeth Leidheiser, German immigrants whose children were Henry, Elizabeth, Amelia, Freda and Louis. A brochure for the inn tells the story. 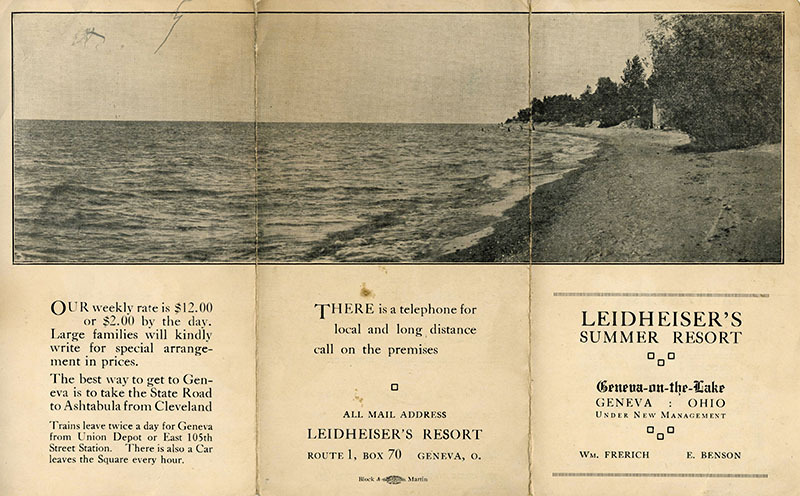 This is most likely from the late 1920s, after the Leidheisers but before the inn became known as the Lakeside Lodge, photos of which follow the brochure. 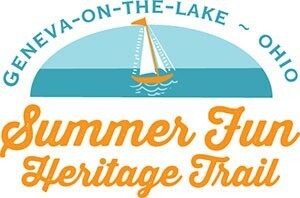 Thanks to Jack Sargent and Alex Zimmerman for sharing their images for this sign and website. 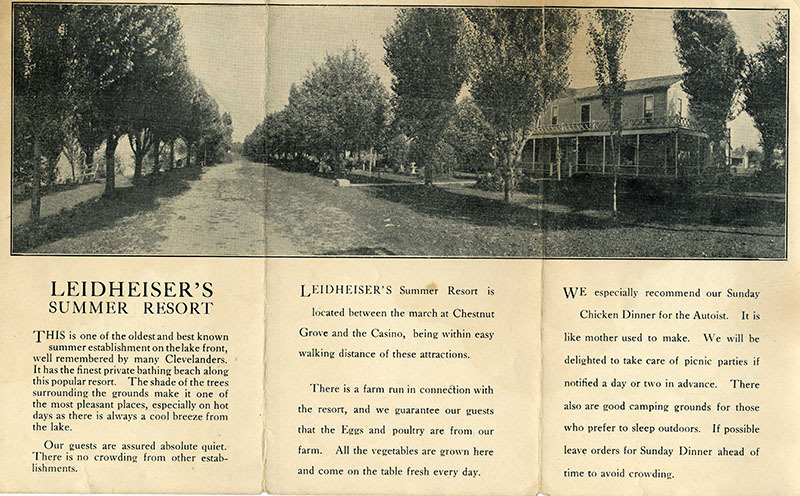 The Leidheiser Farm provided fresh vegetables and dairy to other guest houses on The Strip. 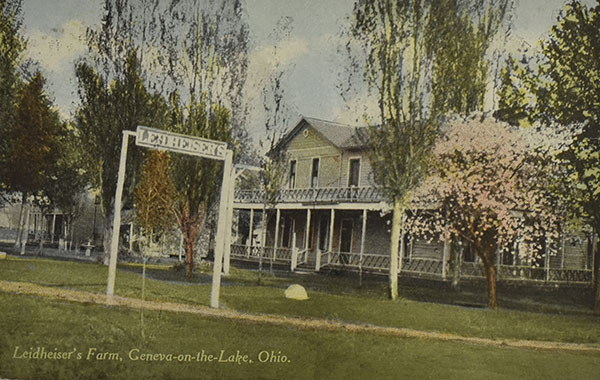 The farm stood just east of Chestnut Grove and marked the start of the tourist area along the strip. Sturgeon Point condos stands there now. I am one of ten children, eight boys and two girls. We grew up in Pittsburgh and a couple times a year (starting in the 1940’s) my father would drive us to GOTL his continued as more children were born in the 50’s & 60’s. 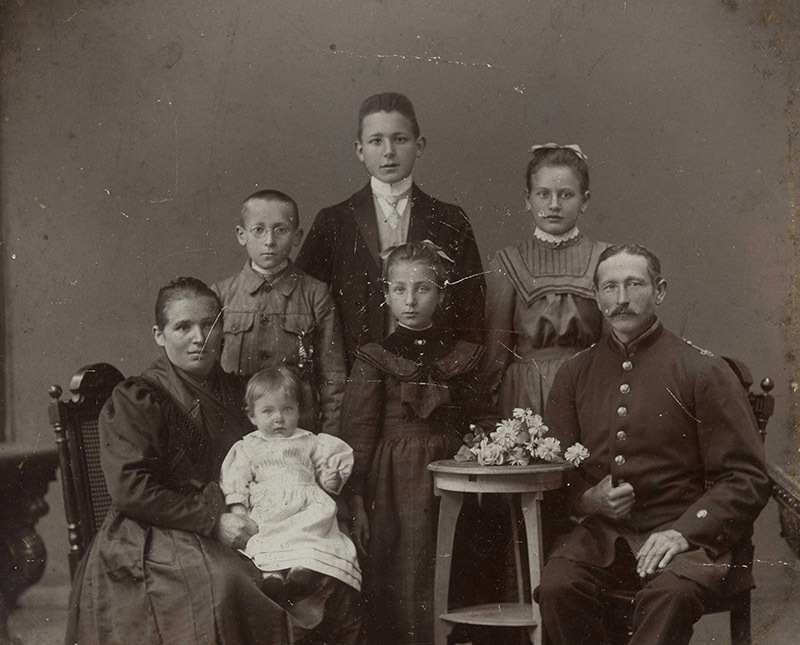 Imagine my father, mother, and 7 to 10 children all piled into a station wagon – they didn’t have seat belt laws back then. As we got close to GOTL we would all sing “3 Cheers for our Conductor”, then at the end of Route 534 someone would always yell “I see the lake”. 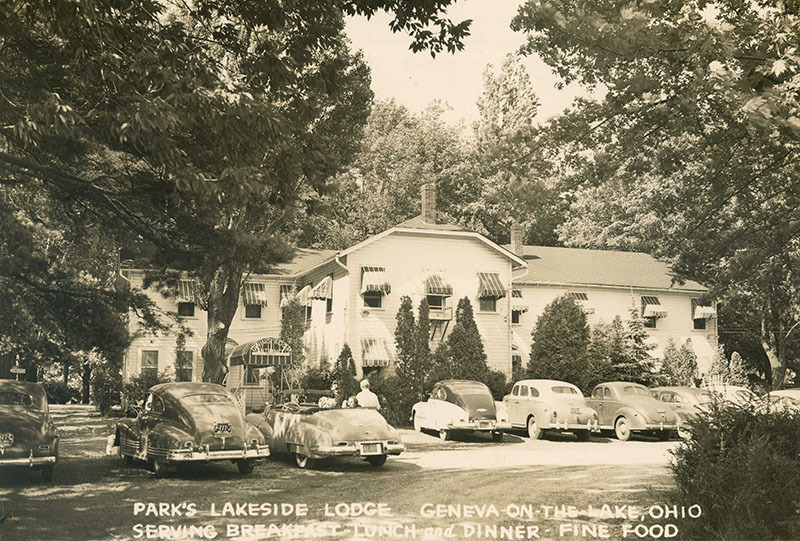 … We always went to Chestnut Grove and have many fond memories.